You look beautiful. You rock this bold color. Wow, what a brilliant colour! It really really suits you! Wow, this colour looks stunning on you! Such a unique shade! I think it would look awful with my skintone but woah, this looks AMAZING on you. This looks absolutely stunning on you! I wish I could pull off something this amazing. Wow, this is gorgeous! I am definitely running out to pick this up. Thanks for the review! This lipstick looks amazing on you! this lipstick looks great on you! it's one of my favourites from MAC. This color is beautiful! I love purples cause they look more natural on my fair skin and blue eyes than other reds and pink shades! You look so beautiful with this color! I definitely couldn't pull it off, but you rock it! amazing color girl looks so good on you! Gosh, it really looks stunning on you! I desperately want to try this but am too worried it would be too bold for me. Might just have to take the leap of faith! Ooo this colour looks so gorgeous on you. It doesn't wash you out or anything, just beautiful! As I mentioned on twitter I've been considering this for a while now but boy am I sold. This colour is so pretty! This is such a beautiful, unique shade and looks great on you! I know I have already said this on Twitter, but you are a babe! Not many people, especially blondes, can pull this off! 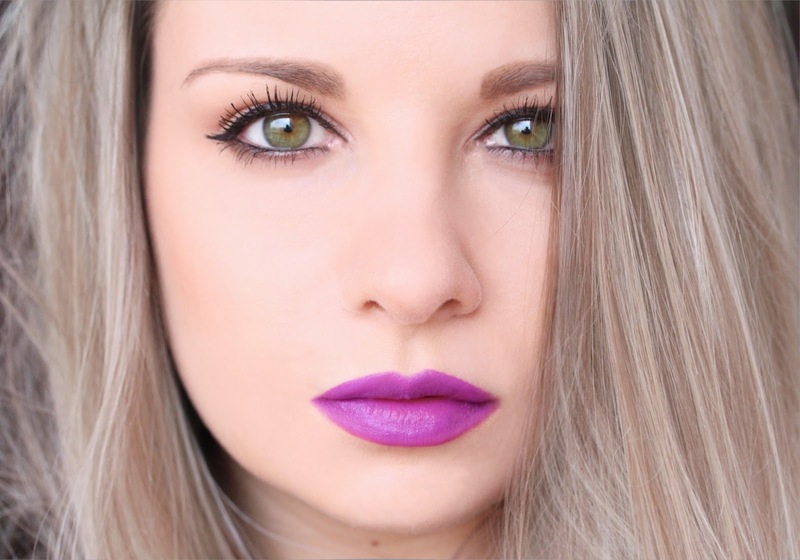 That looks like the perfect purple lip shade I've been looking for! Such a striking colour. Love it on you! Such a gorgeous colour, I definitely need to get this one. Oh girl this shade suits you sooo much! That looks so pretty and I've tried it but never got it as I know I wouldn't wear it all that often but it looks amazing on you and it is such a lovely shade of purple. So bold and lovely! I wish I could rock that color! Oh my gosh this looks AMAZING on you! I so wish I suited purple shades! This colour is beautiful, and I have to admit that I've been eyeing it up for a while. It's one of those colours which until you try it, you won't really know if it does or does not suit you! this is an absolutely gorgeous shade!